Done! The slippers now have thick, felted wool soles and are ready to wear. 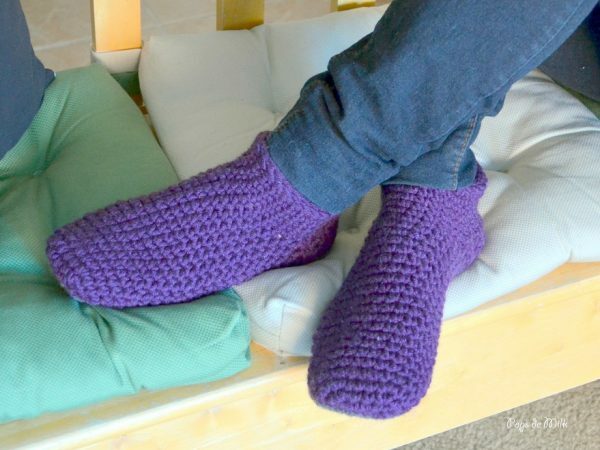 They’re soft and warm, like slipping your feet into cozy blankets. 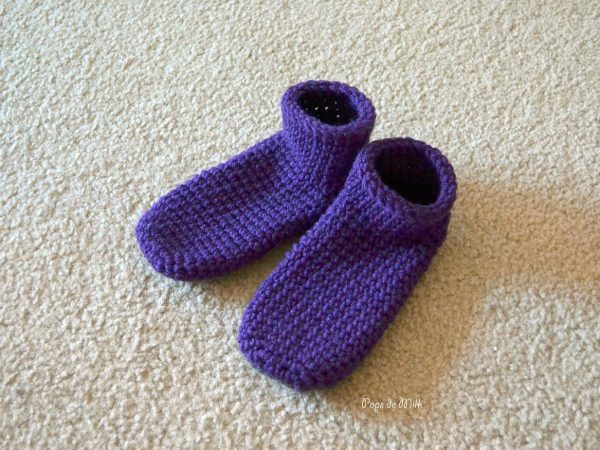 Check out the previous post here for the slipper and sole pattern. For the soles I used Allure fibre wash, which you can read all about in this post here. 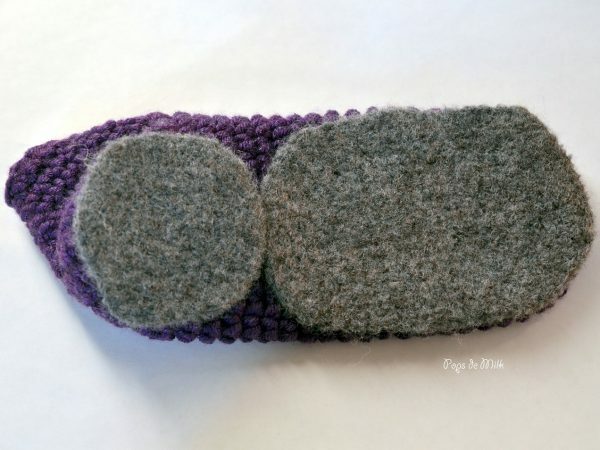 To felt the soles I placed them in a large bowl of very hot (almost boiling) water with several drops of the fibre wash and (protecting my hands with rubber gloves) carefully rubbed the pieces together until the fibres fused and felted. 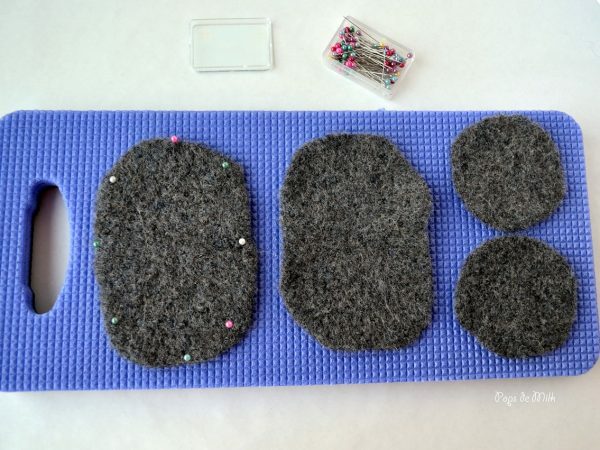 I pinned the pieces down until dry and then sewed them to the slipper bottoms.